The sweetness of this recipe can be adjusted to your preference by tasting towards the end of cooking and stirring in some more sugar, about 1/4 cup at a time. Although the sauce will thicken a bit as they cool, if you desire a thicker, more syrupy sauce, cook for an extra 5-10 minutes. 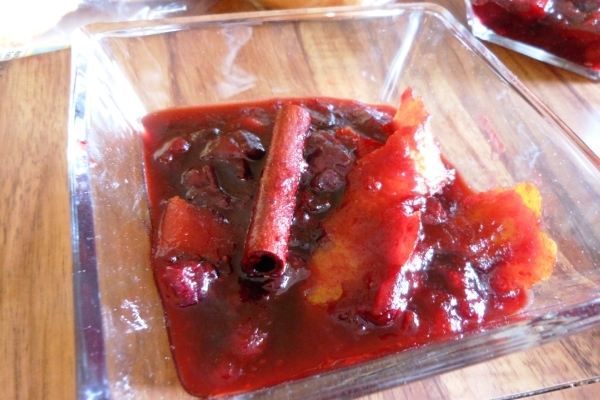 This will also cause more of the berries to burst resulting in a smoother sauce. The times listed are for fresh cranberries, but you can use frozen as well, adding a few minutes to the cooking time; no need to defrost first. Sauce can be served hot, cold, or at room temperature, and can be made up to a couple days ahead. Read the full post here. Jen Cantin recently graduated from Clark University in Worcester, Mass. with a degree in English and Journalism. She shares other (a)musings at Deep Fried Epiphany and dedicates this post to the Pilgrim Roll-Up at Funky Murphy’s in Worcester. Best Thanksgiving-themed sandwich she has ever eaten 10 to 15 different times. 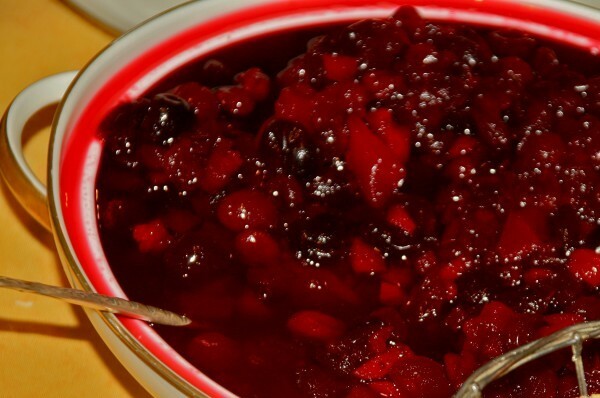 Combine all the ingredients into a medium saucepan over medium heat and simmer, stirring occasionally, until cranberries start to burst and sauce thickens, about 10-15 minutes. Remove the cinnamon stick and orange zest strips before serving.